GRANATE EN DRUIWE, is an ART PRINT of a beautiful still life, depicting juicy red pomegranates, which makes it the perfect gift for mom at Christmas! 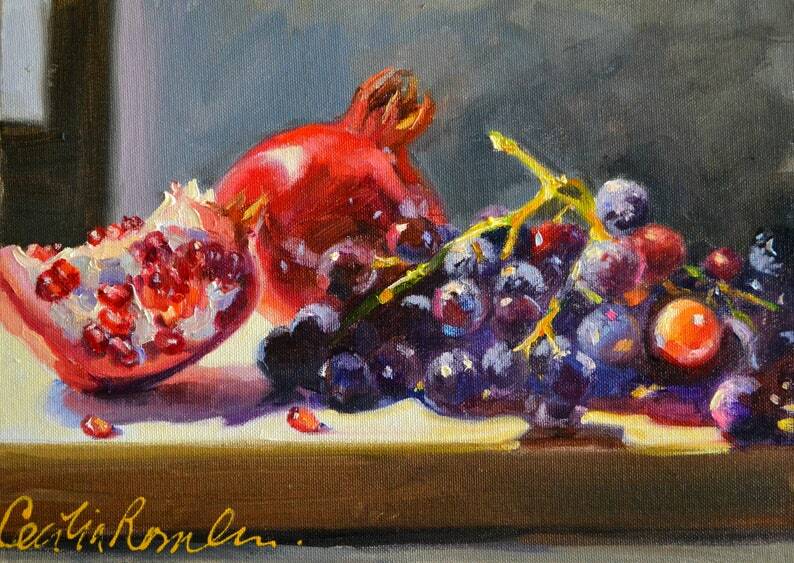 POMEGRANATES AND DELFT Art Print of Still Life Painting by Cecilia Rosslee | Perfect gift for her! 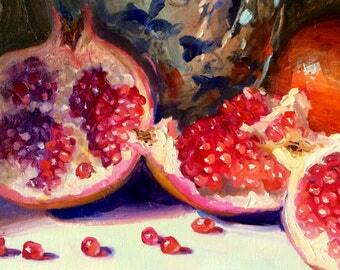 POMEGRANATES AND DELFT Downloadable Digital Print of Still Life Painting by Cecilia Rosslee | Perfect gift for her! A stunning piece from a supremely talented artist. Even better in person. Extremely happy! 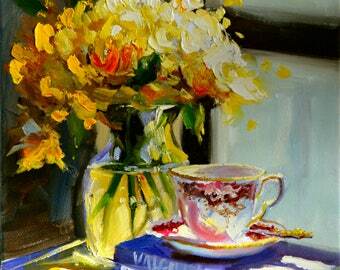 FIGS ART PRINT from Original Oil Painting by Cecilia Rosslee | Red and Blue still life perfect Christmas gift for her!